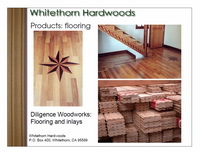 The Hardwood Division of Whitethorn Construction is dedicated to the commercial development of Native California Hardwoods. Having worked with local hardwoods for decades as woodworkers, Whitethorn has accumulated and dried hundreds of thousands of feet of hardwood lumber, slabs and millwork products. On site milling, drying, and manufacturing allows Whitethorn to offer finished products, kiln dried lumber, slabs and tongue and groove flooring to the public. 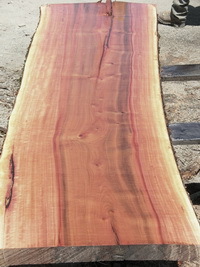 Native California Hardwoods is our only business; we are not a source for other hardwood species. We are locally owned and operated. Our main species are Tan Oak, California Claro Walnut and Madrone. We work also with Pepperwood, Black Oak, Chinquapin, and other native species. We have learned from our reading, the University of California forestry lab, and companies previously in the field. We have utilized the resources of the Institute for Sustainable Forestry, and our own experience over the last 40+ years. We invite you to use us as a resource for your own hardwood building needs. We provide services to the general public. The most requested services are planing, resawing and log milling. All of these are performed here on our premises. We are occasionally able to offer kiln drying as well. As a small business we are often aware of exactly where our wood has come from and circumstances of it’s harvesting. We have long been involved with sustainable harvesting programs. We were one of the very first to be involved with both the Institute for Sustainable Forestry and the Forest Stewardship Council (FSC). Although we have been FSC certified in the past, we are not currently FSC chain-of-custody certified due to cost factors related to the current economic slowdown. 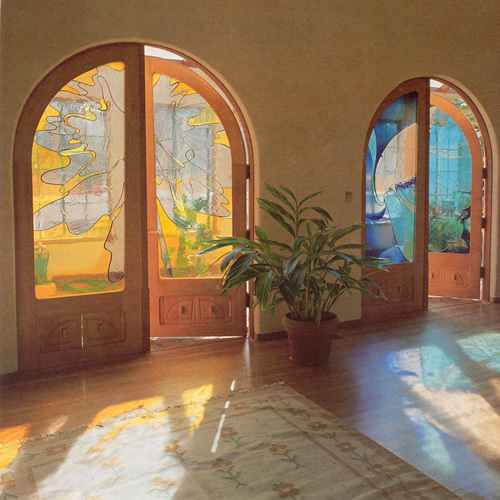 Click on the picture above to see a compilation of Ken and Bob's excellent woodworking projects. Ken Forden's Rotary Presentation provides an overview of Whitethorn Hardwoods' unique history, production facilities and products. Check out our Air and Kiln Drying Techniques page for more information on our successful drying and processing strategies based on many decades of experience. 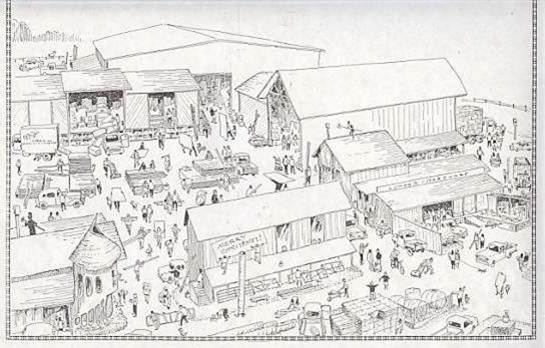 Click here to see larger version of this ink drawing of the Whitethorn Construction Yard and Office.